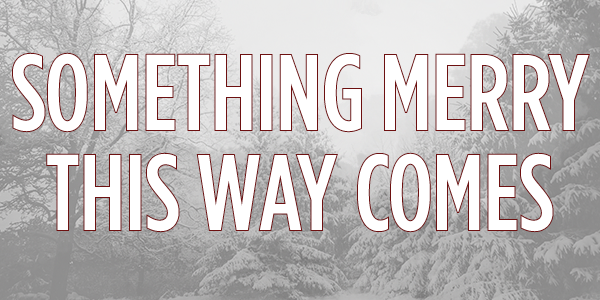 WHEN: Monday, December 10, at 7:30 p.m.
Our annual holiday gift for our audience, Something Merry is just that – a collage of merry holiday tales, songs and poems read by company members. We try to provide an antidote to the commercial glitz and blitz that permeates our lives each year at holiday time with this refreshing, nostalgic celebration of all the good things that the season symbolizes and encourages. This event is perfect night at the Theatre for the entire family! Directed by Brian B. Crowe, this year's one-night event will feature readings from classic authors like L.M. Montgomery, Mark Twain and more! Limited tickets available! Buy your tickets today! Click here for direction to the F.M. Kirby Shakespeare Theatre and for information about FREE parking!